And current PvP season finished. Congratulations to Lesterio for managing to "beat" GoodGame and become 1st within last 30-40min. Lesterio is just a perfectionist in that. 3 seasons before he knock me from first place with the same trick. Good job Lesterio and gratz for first 10. I was watching the season all the time and i saw rly good fight on top 10. This game is so good becouse it has good players and the fun begins when you are in top 50. I hope InnoGames will find a solution for faster content upgreading before all top 50 will start to be bored this game. Again gratz Lesterio for this season. Primer and Lesterio like this. I managed to enter last day with a full screen at about 12 hours remaining. Fought for about 3 hours today to overtake Candle. I was planning on settling for top 20 but was so close the last three days I had to go for it. Started a 6 trophy 3s CV with two minutes to go but couldn’t finish in time to squeeze into 9th. Lol. AI too slow to move. There are some areas on the PvP peninsula where your 1S battles are constantly blocked. So from the very beginning I leave 5-6 "good" battles there. If I don't need these battles to climb up to the higher place on the leaderboard, I leave them for the next season. But sometimes, like today, they can be very useful to overtake your closest counterpart. I think I do about 20 battles per day with an average of 6T for a battle (sometimes it's 7 and sometimes it's 3). And usually it is enough to get to the top 3. Grats to everyone who made it to the top 10 and good luck in the next season! I think that the only way I could get to a top 50 something is if they would do a leaderboard for quality than quantity. Meaning that they would measure and award something that you can do at one point and not only having to play every day for 3 hours or more. 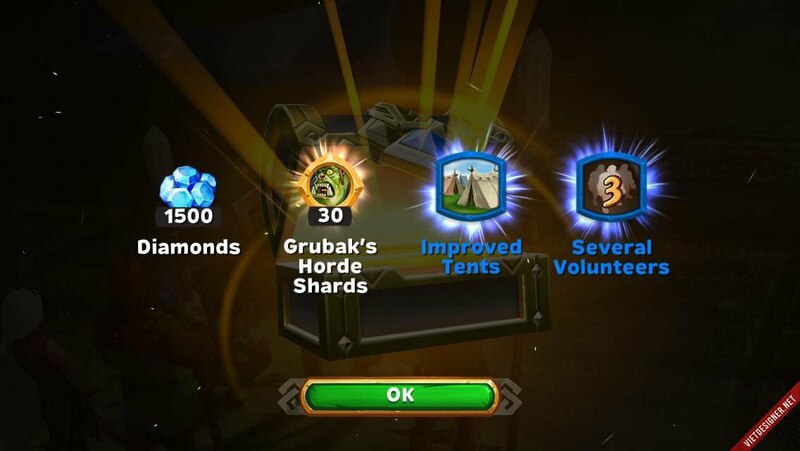 This could be for example a daily bounty hunt or quest/event that you obtain more points if you do it in a certain way (for example the fastest - you have 50 levels/battles and one hour to see how many you can conquer, the less loss of troupes etc.). Every day you get a score that can be a candidate for the leaderboards an only your best score is registered. at he end of the season (after 2 weeks for examples) you have the final top 10 or 50 rewarded. Lesterio and Gottspieler like this. Grats to everyone who did it to the top 10! I think I’m done until they change the PvP system. It was a ridiculous amount of tedious work to swap gear so much, but I really wanted to see if I could win a season one more time. If anyone wants to post all the winners from the last seasons, I’ll add them to the original post. I haven’t had time to keep up with it. Grats to everyone who did it to the top 10 in the first season of 2018! Since I don't think I'll be seeing these two anytime soon. I thought I plonk them here for posterity sake. Good luck to whichever warlords after these. 5th new PvP Season Top 3. Guru, Jesper and BlackAdder666 like this. An enormous congratulation to this seasons winners, and what a pretty and even number of trophies, Primer! PvP Season 6 Top 3. PvP Season 6 Top 100. Primer, Mark Engle, Jesper and 1 other person like this.